As much name recognition as Damian “Jr. Gong” and Stephen “Ragga” Marley have as artistes, their label, Ghetto Youths International, still manages to fly under the radar with mainstream audiences. This works to their advantage for the time being, affording them the opportunity to build more credibility with their core markets as well as the time to expand their army of affiliated artistes. Fans have watched them over the last few years as the Ghetto Youths camp has grown to include hungry talent like Tydal and Black-Am-I, as well as established greats like Cham and Wayne Marshall. 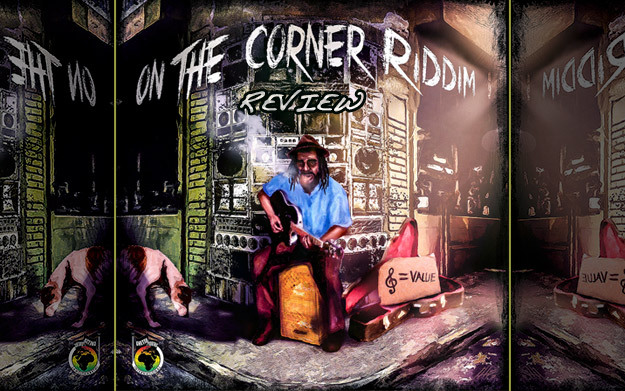 On The Corner made such an impact since the release of Tru Colors that Damian Marley and Ghetto Youths chose to take the song to the next level and create an exquisite riddim juggling featuring some of the most important names in contemporary reggae. The riddim is well-suited for such a task, embodying a nostalgic roots style that is on-trend with the ongoing roots revival movement. In fact, this release is oddly reminiscent of Overstand Entertainment’s Rootsman Riddim from 2013, an epic juggling that included massive hits from Chronixx and Jesse Royal. The release as a whole has served as the unofficial flagship riddim for the revival movement and, although he was not included in the juggling from Overstand, Jr. Gong built his own interpretation of the riddim for his single, Is It Worth It? (Gunman World), leaked in early 2014 and finally got an official release on the Set Up Shop Vol.2 album in december 2014. The Rootsman Riddim is a re-lick of Ini Kamoze’s Wings With Me from 1984 and, although the origins of the On The Corner Riddim is still a mystery to this writer, it is likely that Ghetto Youths’ newest riddim is a re-lick as well, since, like Rootsman, it has a very distinct and authentic throwback sound. These two separate and clearly distinguishable riddims feature similar tempos, differing by only one beat per minute, and they are also both composed in minor key signatures.The two projects have three artistes in common, not to mention Damian Marley, whose production prowess allowed him to be involved with both riddims to varying degrees. Ironically, the connections that can be drawn to Rootsman actually make On The Corner a MORE exceptional juggling. Marley is certainly hoping that the Ghetto Youths release will experience similar success, since the Chronixx and Jesse Royal contributions to Rootsman found their way onto Major Lazer mixtapes and The Tonight Show starring Jimmy Fallon. Perhaps Chronixx and Royal’s contributions to On The Corner will also be well received, as they are obviously two of the strongest tracks from the project. However, On The Corner is a strong project as a whole and it is challenging to find a weak version from talent like Kabaka Pyramid, Iba Mahr, and Determine. With no weak link in the chain, it is likely On The Corner will at least make a large impact on reggae fans, if not broader audiences, in 2015.